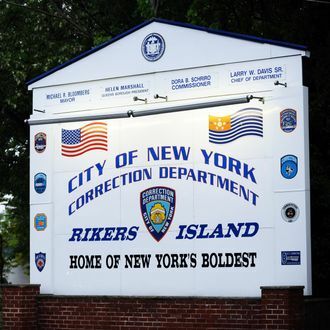 According to Correction Department data, guards used physical force against inmates 4,074 times in 2014, the highest total in more than a decade. The increase came even as the jail’s average daily population continued to decline, falling to 10,000 this year from 14,000 a decade ago. Seventy percent of the 62 beatings examined by The Times resulted in head injuries, even though department policies direct guards to avoid blows to the head unless absolutely necessary. And more than half the inmates sustained broken bones. In October, a typical month, one inmate had his jaw shattered by a guard after being handcuffed and led into an elevator; another had his arm broken while handcuffed; and a third had three teeth knocked out. The Times also identified 30 episodes from August to January in which officers suffered serious injuries in altercations with inmates. While most of the inmates involved sustained head injuries, nearly half the guards fractured bones in their hands and fingers, often after striking inmates in the head.